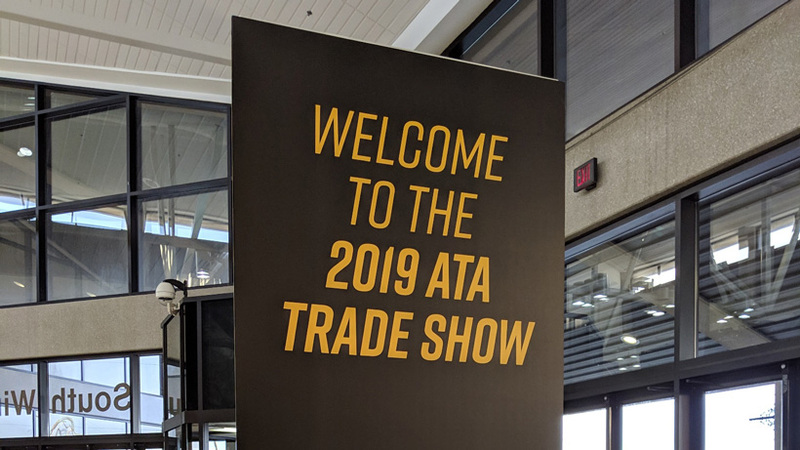 Every January, retailers and exhibitors have the opportunity to converge on the floor of the Archery Trade Association’s (ATA) annual trade show to test the newest archery and bowhunting products. The giant convention center is packed with archery equipment, hunting packs, clothes, gear and passionate bowhunters. Just about every company that manufactures archery hunting equipment is there and, like in years past, so were we. 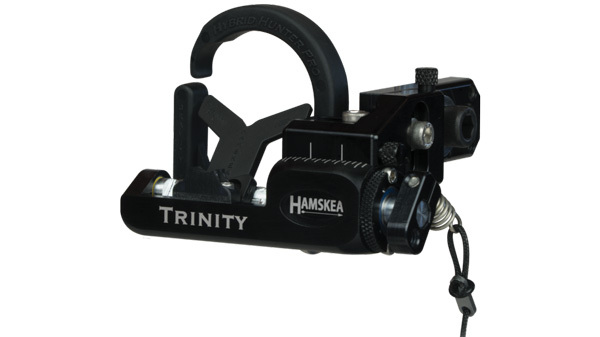 Hamskea is well known for producing technically sound and well-built rests. The Trinity builds on their previous rests by adding tri-ball bearing technology, which creates an ultra smooth activation. It also has a new easy glide cord tensioner, making it a breeze to set up without an allen wrench, which is major improvement over the old football style cord tensioners. 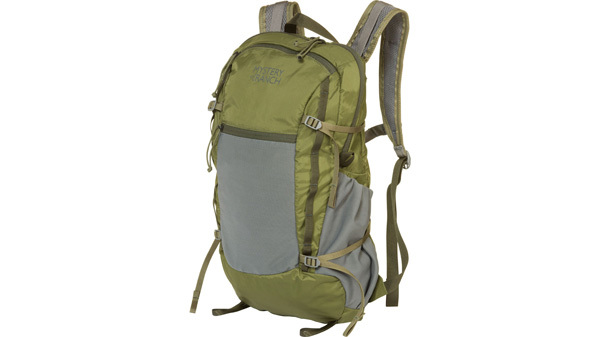 The Trinity is packed with features and should be on the short list if you are looking for a new rest. Typically, a good product from a quality company doesn’t change all the much from year to year because it just works. That’s the case with Tightspot quivers, but they have added a new shorter quiver to their lineup that they are calling the Rise. The Rise is ideally suited for treestand hunting due to it being 4” shorter than the original quiver. It also comes with a hood loop for easy hanging. 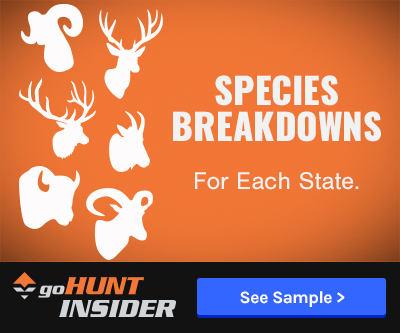 In reality, though, it’s a perfect fit for most of the new shorter ATA bows that have been widely popular for all kinds of hunting in recent years (think Vertix, Triax, Ritual 30, Rx-3, Helix and others). The Rise also comes with the rubber Secondary Arrow Gripper for added stability. We will also be carrying the secondary gripper as a standalone accessory that can be added to the regular Tightspot models. We stopped by the Iron Will Outfitters booth to see what all the hype was about. Admittedly, I’ve been a skeptic—mostly due to the cost ($99.95 for three) and the fact that you’ll need to re-sharpen blades after practicing with them rather than simply replacing them. How many people can re-sharpen a knife let alone a broadhead? Even so, I think I’m coming around to the idea. Bill Vanderheyden, lead engineer and co-founder, discussed steel quality, edge retention and strength and I have to admit they are impressive broadheads. Bill stated that their testing has shown that after five shots into a typical Rhinehart target their heads remain as sharp as your typical $30/per pack heads brand-new out of the package. I’m always drawn to durable quality goods and the Iron Will heads look and feel very nice and they are definitely very sharp! Bill also showed us a new knife he’s been working on made from the same high-quality steel. He didn’t even have a name for it yet, but it’s light-weight, feels great in the hand and I’d expect it to have the same durability and edge retention as their broadheads! Smooth draw, quiet and dead in the hand; these are all things we look for in a new bowhunting rig. The new Mathews Vertix and Traverse deliver on all three plus they hold really well on target. Both bows come with the new Engage Grip, which is a big improvement over previous models. Both bows also utilize the 3D damping which pretty much eliminates post shot feedback. The Vertix is 30” axle to axle, has a 6” brace height and IBOs at 340 FPS. It also has what Mathews is calling switchweight mods, which allows shooters to adjust maximum draw weight by changing a mod in the cams rather than messing with the limb bolts. Peak weight mods in 65 lb and 75 lb is a nice touch for those looking for that adjustability. The Traverse is 33” axle to axle, has a 6 ⅝” brace height and IBOs at 338 FPS. It also provides draw lengths for up to 32 ½” for the long draw shooters. The concentric cams on the Traverse put the overall cam tip-to-tip distance at about 39”, which provides a great string angle—even for long draw shooters. The Traverse holds and aims so well and I can’t wait to get it into the elk woods in 2019. Black Gold went to work to build the most precise and adjustable sight in their hunting lineup and came up with the Pro. The Pro has second and third axis leveling, new machined pro pins, which are thinner, and new micro-adjust individual pins and gang adjustment. It also has a new Wing Truss base, offering the strength and robustness of aluminum at the same weight of comparable carbon dovetail bars. The Pro is packed with all the bells and whistles and has an unconditional lifetime warranty. It’s not cheap, but if you take bowhunting seriously and are looking for a very precise sight this is a great option. It still has the best and brightest pins in the market. Available as a slider with one, three or five pins. This might be the coolest thing I saw at the ATA. Sounds silly, but a mini elk target with antlers and all just looks like it would be a ton of fun to fling arrows at in the backyard. Aim small, miss small, right? 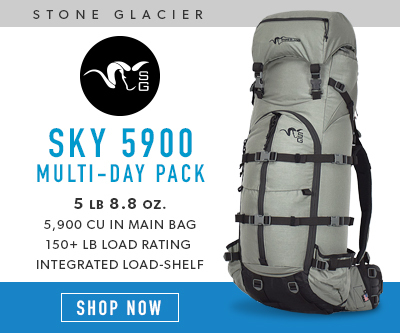 Mystery Ranch has a lot of new stuff for 2019, including these awesome packs: Sawtooth, Beartooth, Selway on the Guidelight MT Frame, but one that might fly under the radar is the In & Out backpack. The In & Out is what I would call a final approach pack, meaning you can throw it in your pack and once you have your camp set and want to hunt out from there, you load it up and go. It stuffs into the front pocket and ends up being about the size of your hand and only weighs 1 lb. It’s got a side stretch woven water bottle pocket, two external zippered access pockets, a 2-liter internal bladder pocket and a main compartment of about 1,150 cubic inches. In my mind, I see it as a final approach pack on a high country mule deer hunt. Scott released the Pursuit last year but I think a lot of people had a hard time getting their hands on one due to manufacturing issues. Sounds like those issues have been dealt with and we should have plenty of them in the Gear Shop this spring. The Pursuit is a handheld thumb release coupled with a wrist strap for added pull and convenience. No more digging around in your pocket for your handheld release. The Pursuit has three and four finger extensions that you can adjust to your liking. It has a fully adjustable trigger—both for position and trigger travel. It feels great in your hand and the trigger is crisp. If you are looking for a thumb trigger release for hunting, this is an awesome choice. The Custom Bow Equipment Tek Hybrid Pro has been updated and replaced with the Engage Hybrid. For the money, it might be the most feature-rich sight on the market. It comes with a dovetail mounting system, second/third axis adjustment, micro-adjust windage and pin adjustment, noticeably brighter clear pins, metal sight tapes, and a sight light. The slider is smooth without any rattling or play in the up and down adjustment. It also comes with the new fluorescent yellow sight ring. The Engage has everything you are probably looking for in a high-end bowhunting sight. Available in one, three and five pins. There has never been a time when information was as readily available as it is now. We can connect with seasoned pros, read tons of literature or watch a “how to” video any time we want. With that, more people are taking the opportunity to do their own equipment work at home. Last Chance Archery (LCA) has been making tools for a while and nothing I saw was necessarily new, per se, but I did want to highlight a few pieces I want to add to my own home shop this year. The Hs2 handheld scale will easily give you both your peak and holding weight. The Pro Grain Scale allows you to measure both in grains and ounces and is affixed with a grippy rubber arrow holder. 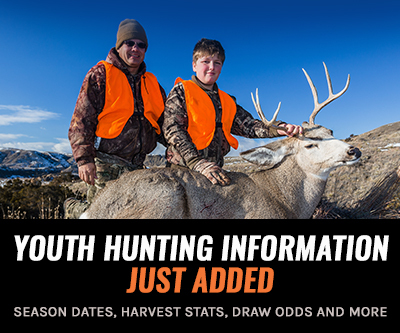 You can easily obtain total arrow weight or match piece for piece weights of all your components (vanes, nocks, broadheads/field-tips, bare shafts) as you build. Finally, although it seems expensive, the Vane Master Pro appears to be an exceptional arrow fletching jig. Considering you’ll probably have it for many years and will end up fletching all your friends and neighbors arrows too, it’s an easier price to swallow. LCA also makes bow presses and a host of other tools—all of which are top notch. I first became aware of Spider Stabilizers when I hunted with the Born and Raised Crew (BRO) this past fall. They are located just down the road from the BRO office and they have been shooting their stabilizers in recent years. As luck would have it, I was able to stop at the Spider booth at ATA and see their full line of stabilizers. The one that caught my eye was the Tracker, which is a low profile ultra-rigid carbon bar with a removable dampening system. They come in 6” to 12” lengths with a 4 oz weight. They also produce side-bar brackets, quick disconnects and extra weight kits to help you balance your rig. They also offer co-branded labeling so we should have some goHUNT edition Spider Tracker Stabilizers in the Gear Shop this spring. Let’s face it, a lot of us sit behind a desk most of the day and we don’t always have time to practice as much as we should. The Firing Line is a great little training aid. They are compact, easy to stow away in a backpack or briefcase and allow you to practice anywhere. They are draw length and draw weight adjustable. They are ideal to help you transition into a new release aid, thumb trigger or back tension/hinge and are great if you are working to overcome target panic. With a Firing Line Aid you can take a quick break at work every day to practice your shot and be that much farther down the road when it really counts next fall. 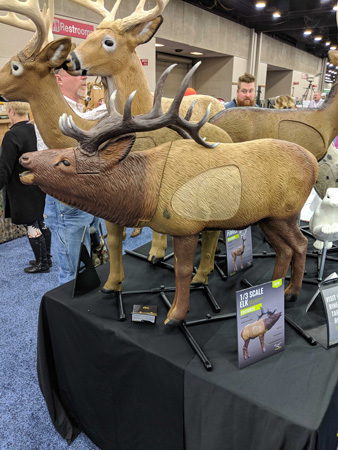 When is the 1/3 SCALE WOODLAND ELK available for purchase? Thanks for the tip on the Firing Line. I just ordered one. Just as it true with long range rifle practice, dry firing should be part of practice. Ryan Cleckner recommends that you "Dry fire your rifle more than you fire it with ammunition in it." While you can dry fire you firearm without harming it, you cannot do so with a bow. So, what's the alternative? Some other device. I've looked at and used a few, but this one looks like the best. I can't wait to get my hands on it. I use a Nock 2 It and employ back tension and a slight rocking of the wrist to trigger the release. When done right, it comes as a complete surprise, which is how a release should be. I find it much easier to practice that and perfect it when I'm not thinking about pulling a bow over the top of the draw-force curve, or thinking about my sights, level, peep and so on. Likewise, unfortunately I'm going to have to skip Sheep Show. I just have too much work building up here, but I will be at the Western Hunting Expo all week though. Hopefully we can put something together to highlight the more interesting products from SHOT show. I have a few that I really liked. It may take a couple weeks, things are getting hectic around here with application season ramping up. Quickly though, I liked the CVA Paramount muzzleloader, the new Leica Rangemaster 2800, and the Leupold Mark 5HD scopes looked nice. Great seeing you at ATA Trail! Hope to see you at Sheep or any of the other remaining shows this year. So SHOT is just over, any news of what is new at SHOT? For those of us that don't hunt with pointy sticks? @ Gary H. MSRP for the elk target is $219.99, so I would say it is definitely priced correctly. They should sell a ton considering it is like $1250 cheaper than their full size elk target and is even cheaper than just the vitals insert for the full size target. BTW there is no "h" in Rinehart. I like the 1/3 scale elk. They are going to sell the crap out of those if they price them correctly. I'm cheap and I'll buy one.